Imagine your dream book. What does it look like? I can now say that I found my dream book. It is called 'Dress Scandinavian' by Pernille Teisbaek. It's the most beautiful fashion book I've seen. The layout with the pictures and the font reminds me of the layout in the Gentlewoman magazine. Throughout the book, you see these pages in different colours, bold titles and beautiful images. The cover is also visually pleasing with the "yellow" theme and the very minimal background. 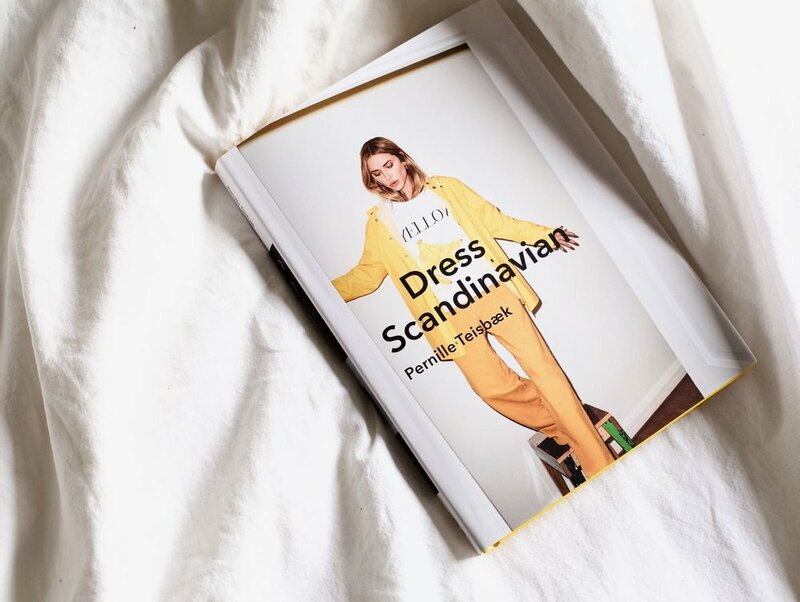 As for the content itself, Dress Scandinavian is a guide to Scandinavian fashion written by a popular Danish fashion blogger. 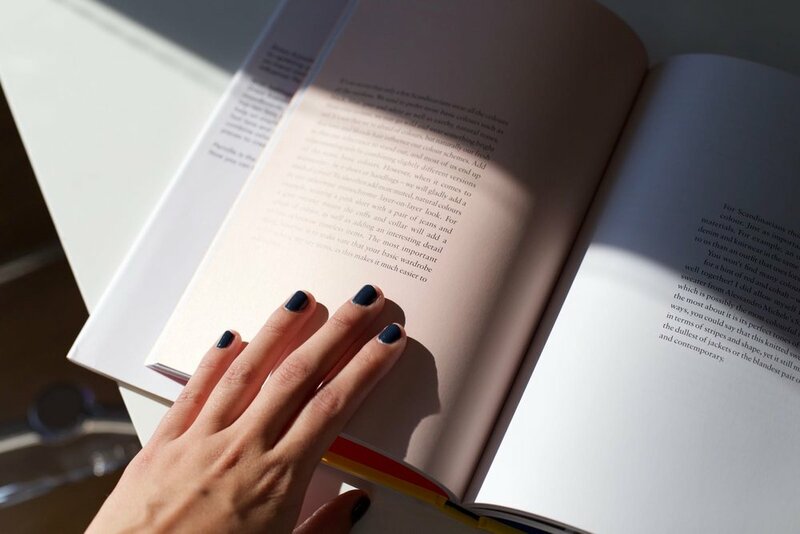 The book is divided in many sections, going from her own style story to local brands to discover to style tips. I read the book very quickly but it's a book I will definitely refer to in the future. With fashion books, I usually find that they become dated quite quickly, but I feel like this one will remain current because it's more about the philosophy of a style rather than trends. Pernille makes Scandinavian fashion approachable. My favourite parts from the book? Her lessons on layering, why details and jewelries are so important, and her suggestions of brands to discover. Pick up a copy, you won't be disappointed!